With over two decades in the practice of law, Mr. Wartelle represents clients in a multi-faceted litigation and transactional practice. He started his law practice in 1995 and joined his current Firm in 1999. He has been a Partner since 2003. 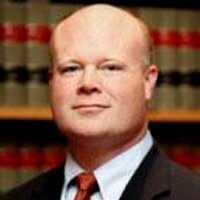 Mr. Wartelle handles matters in Snohomish, Skagit, Thurston, Whatcom, King and Pierce counties, but has also litigated cases in various other jurisdictions throughout Washington and in the Federal Courts. Mr. Wartelle’s areas of practice include, Estate Planning, Trust & Estate Litigation, Probate & Estate Administration, Educator / School & Employment Law, Personal Injury, Family Law/Litigation, Real Estate. Estate planning allows individuals to direct the disposition of their assets upon death. It also allows individuals to plan for their incapacity or inability to manage their affairs during their lifetime. Appointment/Consulting Scheduling via dmw@cnrlaw.com or heidi@cnrlaw.com. Mr. Wartelle assists clients establishing an estate plan to ensure their estate planning objectives are documented and clear. This work is effectuated through a Last Will and Testament and/or a Community Property Agreement (for married individuals), or sometimes through various types of Trusts. Proper estate planning significantly reduces the likelihood of litigation with regard to a client’s estate. Appointment/Consultation Scheduling via dmw@cnrlaw.com or heidi@cnrlaw.com. He also assists clients in making sure their financial and health care decisions are in the hands of the individuals they trust. Clients may have a need in establishing the necessary estate planning documents should they ever become incapacitated or unable to manage their own affairs during their lifetime. These documents can include: General Durable Power of Attorney, a Medical Durable Power of Attorney, and a Health Care Directive. Appointment/Consulting Scheduling via dmw@cnrlaw.com or heidi@cnrlaw.com. While careful estate planning often avoids later litigation issues, sometimes disputes do arise. Mr. Wartelle represents individuals, beneficiaries, personal representatives, trustees, and other fiduciaries in all types of trust and estate disputes. Such disputes may include will contests, trust and will interpretation, claims against fiduciaries, accounting disputes, and beneficiary designation challenges. Appointment/Consulting Scheduling via dmw@cnrlaw.com or heidi@cnrlaw.com. Mr. Wartelle provides services to Personal Representatives during probate administration for the settlement of estates. These services generally include preparation and presentation of the court pleadings and documents necessary to probate the estate; supervise and coordinate the probate process creditor notification, settlement of claims; and assistance with the transfer, distribution and sale of estate assets. Appointment/Consultation Scheduling via dmw@cnrlaw.com or heidi@cnrlaw.com. Mr. Wartelle represents clients in a wide range of the domestic relations matters, including divorce proceedings, parenting and child support modifications, adoptions, custody litigation, and pre- and post-nuptial agreements. The ramifications of family law disputes can have a significant impact for years after the conclusion of the litigation. It is important to have experienced legal counsel throughout the process. Appointment/Consultation Scheduling via dmw@cnrlaw.com or heidi@cnrlaw.com. Mr. Wartelle represents people who are injured in all types of accidents that occur in everyday life, such as car accidents, slip and fall accidents, and premises liability claims. The law provides financial protection for people who have suffered harm due to the negligent or intentional actions of another individual or company. The objective in any injury claim is to obtain full compensation, including compensation for both economic and noneconomic damages for the harm a client has suffered as available under the law and evidence of the case. Appointment/Consultation Scheduling via dmw@cnrlaw.com or heidi@cnrlaw.com. Mr. Wartelle has been representing public and private school educators throughout his career, including all manner and level of disciplinary proceedings, grievance processing, hearings under the statutory hearing process, and certification and disciplinary issues with the Office of the Superintendent of Public Instruction. He has been successful in resolving a wide-array of disciplinary proceedings, often reducing or eliminating proposed disciplining action, and when appropriate, negotiating favorable settlement agreements to protect the client-educator’s professional career. His practice further extends to representing private sector employees and businesses, including wage claims, discrimination claims, contract disputes, and non-compete agreements, and he has represented various public sector labor organizations, such as the Washington Education Association and its affiliated Councils and Local Education Associations. Mr. Wartelle’s representation of public sector labor organizations has included contract negotiations, contract administration and enforcement, strike litigation, and unfair labor practices. Appointment/Consulting Scheduling via dmw@cnrlaw.com or heidi@cnrlaw.com. Mr. Wartelle represents clients in a variety of business-related matters and addresses the business legal needs of the following areas: Formation and maintenance of corporations, partnerships, and limited liability companies; Contract drafting and negotiation; Employer policies, procedures, and handbooks; Non-Compete and Confidentiality agreements and enforcement; and Employee-employer relations. In addition, he assists client with real estate/property related matters, including, adverse possession, boundary line disputes, and contracts. Appointment/Consultation Scheduling via dmw@cnrlaw.com or heidi@cnrlaw.com. Mr. Wartelle offers his services as a mediator. Mediation often results in resolution in a high percentage of cases. The process allows parties the opportunity to creatively tailor settlement options to the present dispute, and to avoid the costs of further litigation and the possibility of a Court imposing a decision upon the parties. When necessary and possible, Mr. Wartelle is willing to schedule mediations during evenings and weekends. Mediation Scheduling via dmw@cnrlaw.com or heidi@cnrlaw.com. Mr. Wartelle also offers his services as an arbitrator. It is critical for the arbitrator to preside over the dispute with fairness and neutrality. It is also important to prepare a decision that not only resolves the dispute upon the evidence and law, but also confirms to the parties that their case positions have been heard, and to explain why a certain result follows from the evidence and law. Arbitration Scheduling via dmw@cnrlaw.com or heidi@cnrlaw.com. The 2018 case of Porter v. Kirkendahl, 5 Wn.App.2d 686 (2018) involved a dispute initiated by property owners who sought damages for waste and timber trespass after trees on their property were removed without their permission. The Court held, in part, that when one directs another to remove standing timber and tells the other where to cut, an action for timber trespass may lie against the one giving direction, independent of any claim based on an agency theory of liability. A party can therefore be independently liable for directing an independent contractor to cut trees on the land of another. In SEIU Local 925 v. Univ. of Wash., 4 Wn.App.2d 605 (2018), a labor organization sought to prevent a state university from producing records under the Public Records Act that were associated with union organizing activities. The Court held that the records at issue did not constitute “public records” within the meaning the Act, and further noted that documents relating to faculty organizing and addressing faculty concerns are not within the scope of employment, do not relate to the University’s conduct of government or the performance of government functions, and thus are not public records subject to disclosure. In Estate of Meeks, 4 Wn.App.2d 255 (2018), a beneficiary of a decedent’s trust petitioned for reformation of the trust or, in the alternative, reformation of the decedent’s will in order to conform to the decedent’s intent to provide for a disposition of trust assets in an amount more favorable to the beneficiary. The Court held that the trial court could not reform the will to effect an alternative disposition of trust assets, that the will could not be reformed under RCW 11.96A.125, and that the requirements for a valid will under RCW 11.12.020 must be satisfied. Under the Washington Constitution, the State has the power to dispose of and to invest persons with ownership of shorelines and tidelands subject only to the paramount right of navigation and fisheries. Chelan Conservancy Basin v. GBI Holding Co., 190 Wn.2d 249. We conclude that the superior court did not err in determining that the charges satisfied the criteria for which a recall petition may be filed. We agree with that court that if an elective public officer knowingly and willingly breaks a collective bargaining agreement and thereby unnecessarily causes substantial financial harm, this may be considered an improper act and a violation of oath. It is alleged that Mount and Young engaged in this conduct, and Mount and Young concede that the allegations are factually sufficient. The charges are, therefore, legally sufficient. If the petitioners hereafter obtain the requisite number of signatures on the recall petitions, it will be up to voters of the district to determine at a special election if Mount and Young should be recalled from office.